Burnley manager Sean Dyche has defended what he has described as 'honest' challenges against Liverpool. 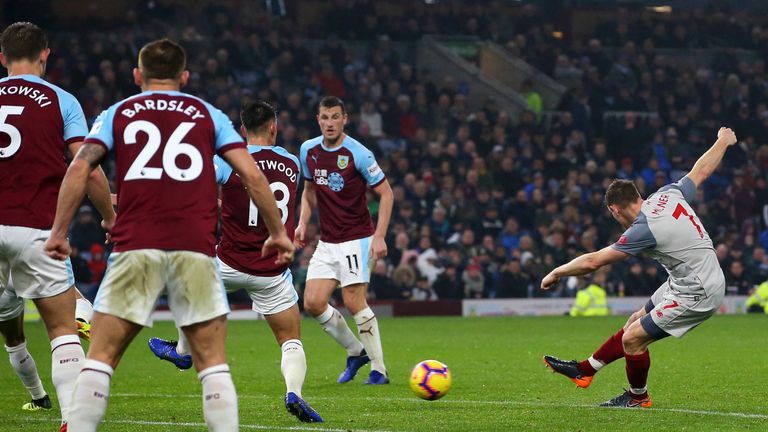 Sean Dyche defended his Burnley players' tackling against Liverpool, saying he was happy to be called "old-fashioned" if it meant being in favour of "fair and honest challenges". Klopp called for greater player protection after Joe Gomez was injured in a challenge by Ben Mee in Burnley's 3-1 defeat at Turf Moor, but Dyche said he felt only one tackle, by Phil Bardsley on Alberto Moreno, might have gone too far. The Clarets boss stood up for his players' attitude to tackling in a long response to comments made by Jurgen Klopp after Wednesday's game. "There were some excellent tackles last night," Dyche said. "I think the only one that was questionable was Bardsley's. "I think Ben Mee's was a fantastic tackle and I imagine that a player, who seems to me an honest player, like Gomes, I think he realised that. "That was the message we received after. We send him our best if any injury occurred, but it's not from a bad tackle." Dyche said Klopp's comments had confused him and noted that the German had failed to mention what he considered to be a dive from Daniel Sturridge. "He didn't reference Daniel Sturridge's cheating when he never got touched and went down and got a free-kick for it. 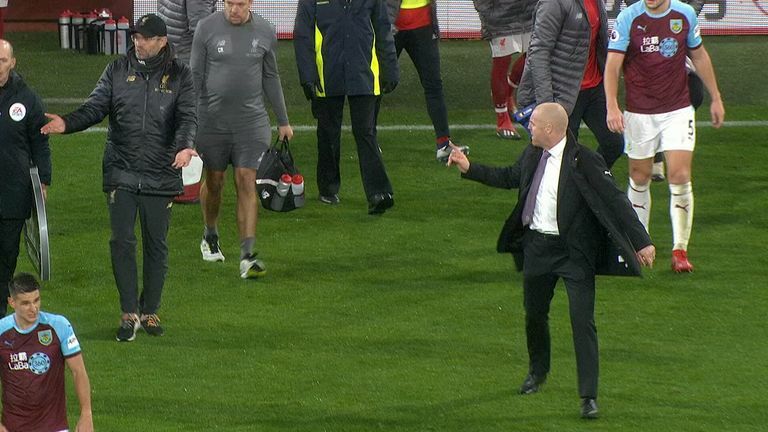 Sean Dyche had a few choice words for Jurgen Klopp as he appeared unhappy with the Liverpool manager at full time of Burnley's defeat. "I was a Liverpool fan growing up and they had a fantastic side of skill, will, demand, and a physical edge. "Now, if that has gone, or you can't make the tackles our lads made last night and it has been replaced by cheating, I absolutely am happy to be old-fashioned. "There is no way I wouldn't want to see good, proper professionals challenging in the way our lads did last night and replace it with cheating. "There is too much cheating in the Premier League, I've said it time and time again." 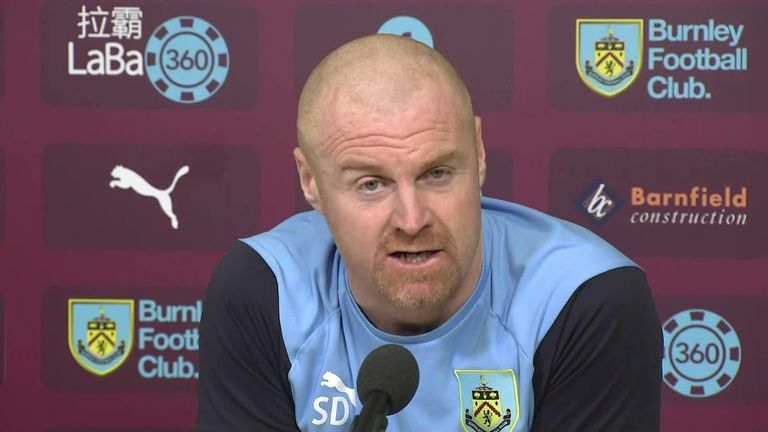 On the wider issue of player protection, Dyche said managers could say whatever they liked, but stressed that it is not their right to manipulate the rules. Michael Dawson was full of praise for Burnley’s spirited display against Liverpool but ultimately the Reds’ superior quality showed through. "Managers have the right to call for players to be protected," he said. "They can question whatever they want, but I don't think they can reinvest the rules. "If you make a fair and honest challenge and are in control of that challenge, then it's just a fair and honest challenge. "I don't think there are many fans in this country who want to see tackling go out of the game, I'd be amazed." Burnley remain in the bottom three after Wednesday's game and welcome Brighton to Turf Moor on Saturday.